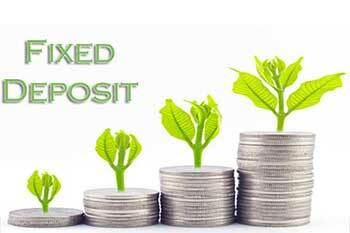 Fixed deposits, or term deposits, are one of the most popular avenues of investments. These are considered safe and hassle-free as one can open a fixed deposit account in the nearest branch of any bank. Choice of tenures: Fixed deposits are for a fixed tenure and depending on one’s financial needs one can choose a tenure that is most suitable. The tenures of fixed deposit range from 7 days to 10 years, and usually banks pay higher rate of interest to FDs of higher tenures. The choice of tenure will depend on one’s income and the daily, weekly and monthly requirement of funds for meeting expenses. So, if a person is employed and earns a monthly income, he may set aside a specific sum for expenses and put the balance amount in short term fixed deposit. On the other hand, if a person is retired, he may have to space out his fixed deposits suitably so that they mature at specific intervals to meet his/her daily, weekly and monthly expenses. However, if the fixed deposit is a substantial lump sum amount and if the interest earned is enough to meet all the expenses of the family, the fixed deposit can be for a maximum tenure. Interest payment: The interest on fixed deposit is paid at regular intervals or at the time of maturity. One can choose interest to be paid on a monthly, quarterly, half-yearly or annual basis or at the time of maturity, depending on the requirement of funds. Also, instead of being paid interest, one can choose to reinvest the interest earned by specifying as such while opening the fixed deposit and, thereby, reap the benefits of compounding. Taxation on FD: If the interest earned on FD is more than Rs 10,000 in a year, it is taxed at the rate depending on the tax bracket of the individual. So, if a person comes under the tax bracket of 20%, the interest above Rs 10,000 will be taxed at the rate of 20%. However, if the depositor submits From 15G/H to the bank, the bank will not deduct any tax. Also, one can save on taxes by depositing the amount in a tax-saving FD which is for a minimum duration of 5 years and maximum of 10 years. Premature withdrawal: If one is in dire need of funds due to some emergency or personal needs, premature withdrawal of FDs is possible. But premature withdrawal attracts penalty and lower rate of interest depending on the duration for which the FD was held. However, one can also take a loan against the FD through an overdraft facility and avoid paying penalty and loss of interest, but the loan against FD will carry a higher rate of interest than that paid on the FD. So, one needs to weigh the pros and cons to decide whether to go for premature withdrawal or take a loan against the FD.